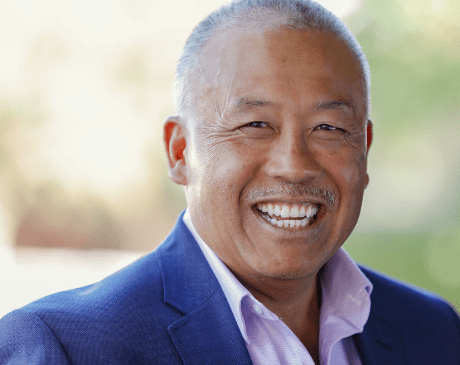 Gregory Hong, DDS, has been with The Diablo Dental Group in Danville, California, since 1987. He is a comprehensive general cosmetic dentist with advanced studies in the treatment of Temporomandibular Joint (TMJ) disorders. He is a certified provider for the Invisalign orthodontic system. Dr. Hong is a 1981 graduate of the University of California, Berkeley, with a Bachelor of Science degree in Anatomy and Physiology. He is also a graduate of the University of California, Los Angeles School of Dentistry, where he received his DDS degree in 1986. Dr. Hong is a longstanding member of the American Dental Association, California Dental Association, Contra Costa Dental Society, 1987-present, and is a member of Partnership Dental Study Group. He is a past member of the Craniomandibular Institute and past founding member of the Academy of Computerized Dentistry. Dr. Hong was a contracted provider of TMJ treatment for Kaiser Permanente Medical Group 1989-2003. Dr. Hong and his wife, Rosellen, have lived in Alamo for twenty years and have one adult daughter. He has held various volunteer coaching positions for girls’ high school varsity softball at Las Lomas High school and San Ramon Valley high school, 2005-2012. He also coached Mustang Soccer Club 1996-2005 and girls softball, travel teams California Crossfire and the San Ramon Valley Girls Athletic league Valley Stompers 2003-2010. In 2016, Dr. Hong completed his UCLA residency in Sleep Medicine. He has incorporated into our practice the diagnosis and treatment of sleep disorders to manage and treat sleep apnea and other sleep disorders, utilizing calibrated specific oral appliances and techniques. Dr. Hong’s hobbies include travel, fishing, golf, umpiring, and reading.